Wholesale and Retail gourmet pasta manufacturer business for sale located in Miami. Fully equipped with kitchen, waking cooler and freezer etc. Selling wholesale and retail pasta products to restaurants and walks ins. Good online reviews. Turn key business opportunity. Loyal and stable clientele. Seller will stay as necessary to guarantee a smooth transition. Company manufactures full line of gourmet pasta products. 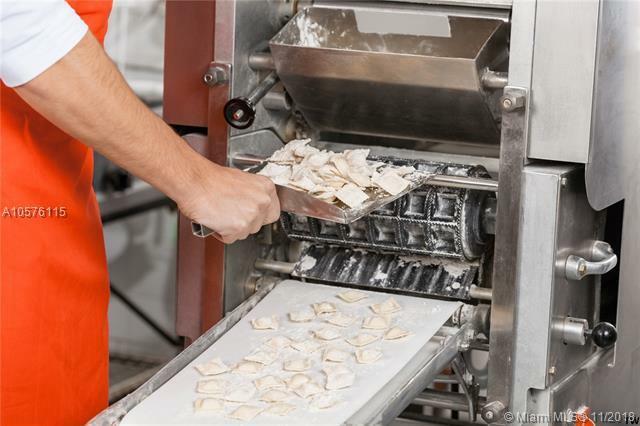 Pasta is made fresh daily in state of the art food processing facility.In an effort to respect the privacy of the owner and patrons, please refrain from contacting any of the employees or owners. Confidentiality agreement required.